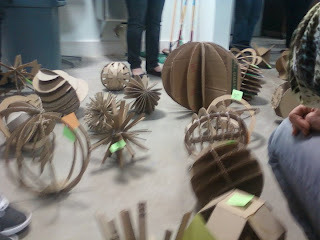 The cardboard spheres were messy and surprisingly took longer to make than I anticipated. 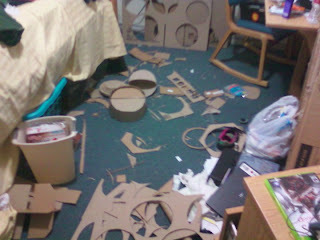 I spent about a grand total of 3-4 hours working on them and probably didnt even come to making them look good. Cardboard does not want to be anything else than a box. It is hard to shape the material into what you want it to be.